Violence also marred celebrations in the Paris suburb of Champigny-sur-Marne, where two police officers were attacked by a large group of people at a party. The country has been on alert following a wave of jihadist attacks that have killed 241 since 2015. So why do the French burn cars anyway? The custom of setting vehicles alight on New Year’s Eve reportedly began in the east of the country, around Strasbourg, in the 1990s, in the city’s poorer neighbourhoods. It was then quickly adopted by youths in cities across the country. 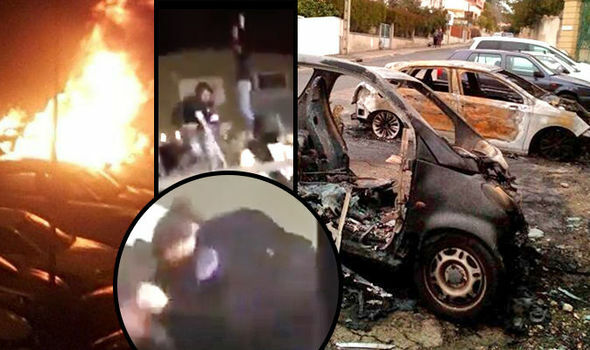 Cars are often set ablaze whenever there is an outbreak of social disorder, as seen in the 2005 riots when hundreds of vehicles were torched. The ONDRP’s Christophe Schulz told Le Parisien newspaper that there are diverse reasons that youths burn cars. So while car owners might welcome the fall, they still face a few sleepless nights this summer.